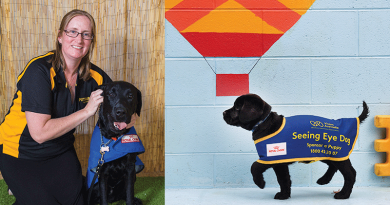 FORGET the cat walk, all eyes were on the “dog walk” when Guide Dogs Australia unveiled a fresh new uniform look for its iconic Guide Dogs. There were no fashion faux pas in sight as the four-legged models took to runways across the country on 18 January to debut their new training coats. Guide Dogs Tasmania Guide Dog Services coordinator Kim Ryan said it was an exciting step to unveil the new coats. She said these coats would now be uniform across the country for the first time to make Guide Dogs in training more easily recognised when working. “Our Guide Dogs have been working in local communities for more than 60-years and provide a life-changing service to those with limited or no vision,” she said. “At any one time, there may be more than 600 pups and dogs being trained in communities across Australia to take on a special role as a Guide Dog. The new coats feature a reflective bright orange colour for visibility and are made of a highly breathable material to keep the dogs cool – and looking cool – when they are working. “What’s more important though is what they represent,” Ms Ryan said. “When you see a Guide Dog wearing one of our new coats in the community, it means they are on an important journey and working toward fulfilling the life-changing role of being someone’s guiding eyes. 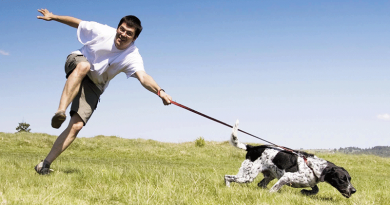 “Whether a dog is walking, sitting or sleeping, a Guide Dog should not be patted, fed or distracted. 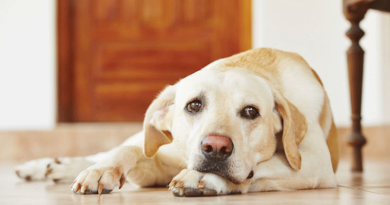 “It also means these dogs are legally allowed to go anywhere their trainer or handler can. 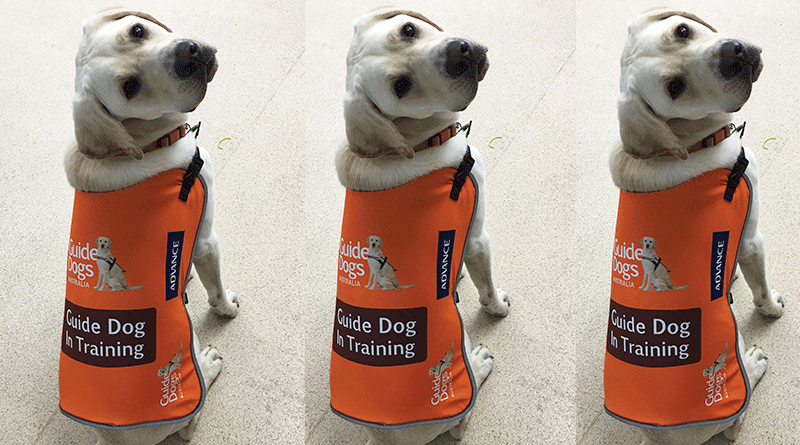 The new coats were made possible thanks to the support of Guide Dog Australia’s national partner ADVANCE. For more information or to support future Guide Dogs, visit guidedogsaustralia.com.au. Caption: Guide Dog pup Murphy modelling the new national puppy coat.